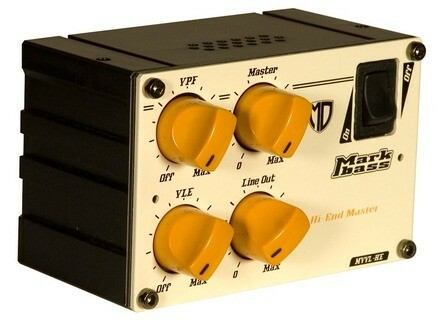 MoMark MVVL-HE, Other Bass Amplifier from Markbass in the MoMark series. The MarkBass MoMark MVVL-HE is a master module for the MoMark modular amp system, that completes the "High End series" for bassists. This MoMark module features master volume control, the Markbass VLE and VPF filters, and Line Out level control. This master module features gold-plated circuitry and components used in military and aerospace applications, according to the company. This module completes the “high end” set of MoMark modules, along with the T1MHE and S1M-HE preamp modules and the EQ44S-HE EQ module. Check out www.markbass.it for more details. Markbass Micromark 801 The Micromark 801 is a slightly larger version of the Micromark, which features an 8” speaker and a bass port. 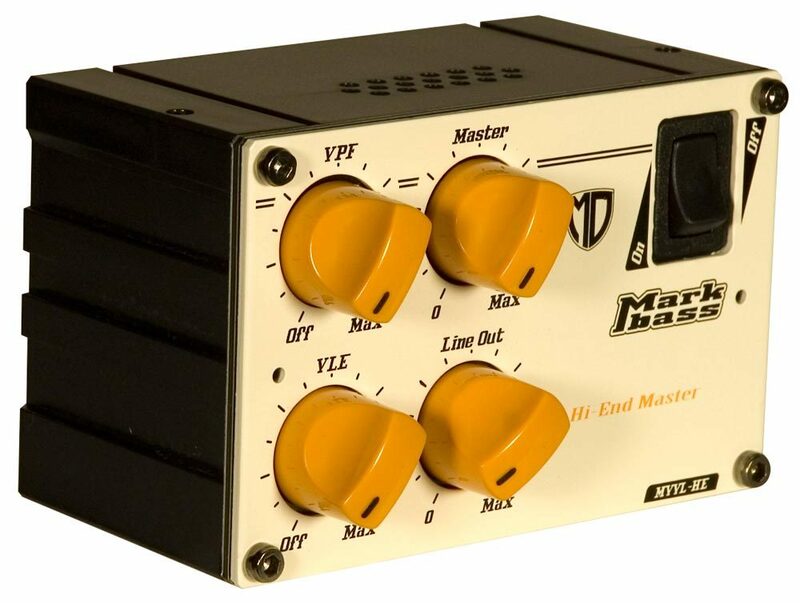 MarkBass TTE 500 The TTE 500 is described as a “modern vintage” head with a tube preamp, tube compressor, colour EQ filter (tube-driven VLE) and a TTE (Tube Technology Emulator) analog power amp designed to sound like a tube power amp. SWR HeadLite Amplifier Head & Amplite Amplifier Review On today's menu, to get rid of the cold and warm up, we have a light but nourishing pair of SWR class-D heads (an amp/preamp combo and a power amplifier).